Maker's Notes: The Pacific Northwest is known for growing high acid apples and loving tart, crisp ciders. 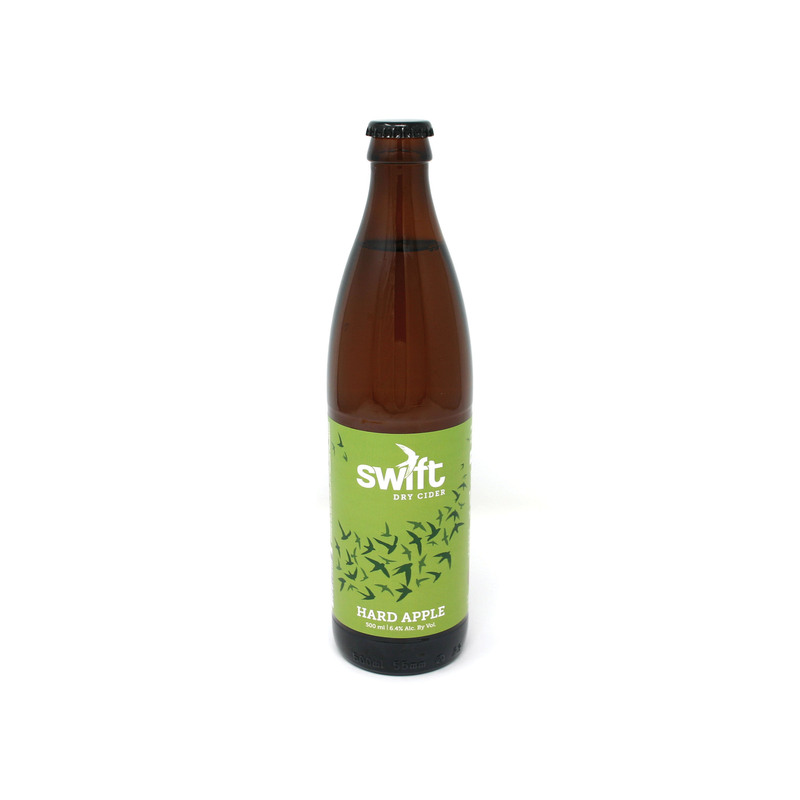 Our Hard Apple has the aroma of fresh dessert apples and a yeast character comparable to a light bodied Chardonnay. The bubbly dry finish is tuned for regular consumption. Enjoy with creamy cheeses, fatty fish, and buttery pasta. Hard Apple is one of three Flagship ciders available year round. Maker's Notes: Berry cider is popular, but not all are made equal. Instead of using berry concentrates and extracts, Swift uses whole Oregon-grown Marionberries that are pureed and blended with a base of hard cider before aging. By giving the cider extended contact with berry skins, we get more intense flavor and aroma without picking up the excessive sweetness that you would get from a concentrate. The Marionberry is bold and fruity. We love drinking it with spicy curries, citrusy salads, and chocolaty desserts. Marionberry is one of three Flagship ciders available year round. Maker's Notes: Pineapples and hops provide a juicy tropical aroma that unfolds into a fruity semi-dry finish. The challenge with bold ingredients is balance and we've made it our job to give you just the right amount of hop bitterness to balance out the sweet pineapple. 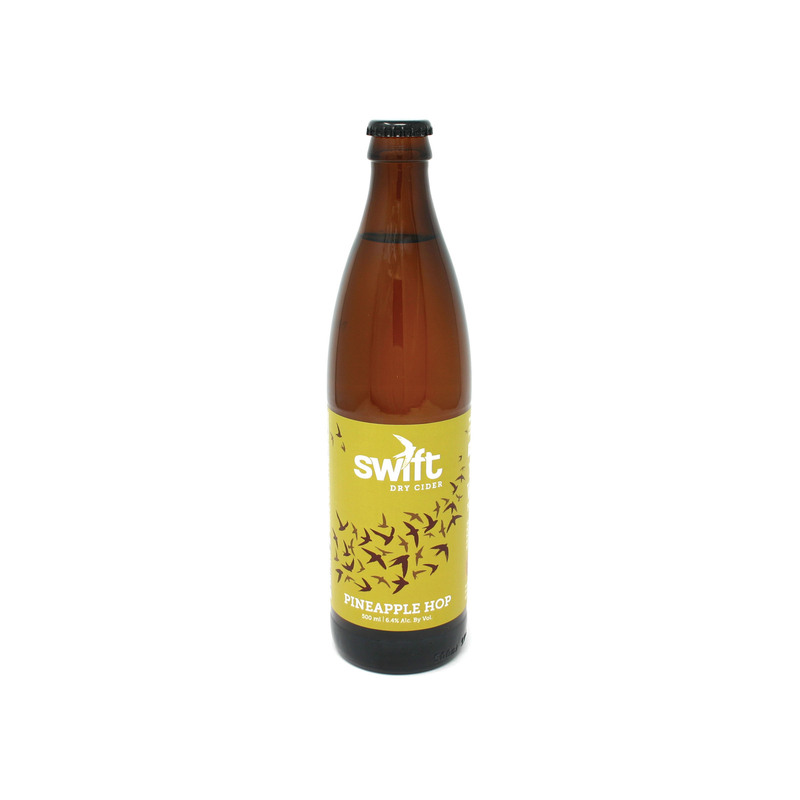 As with our other fruit ciders, we age this one on pureed pineapples, instead to using concentrates or extracts. You get authentic flavor without the sketchy ingredients. We like Pineapple Hop with shrimp, tacos, and mixed into tropical cocktails. Pineapple Hop is one of three Flagship ciders available year round. Maker's Notes: Most pomegranate cider use concentrate, but we held out to find a family owned grower in Northern California to supply us with a pure pomegranate juice. Pink Lady apples are excellent for cider and we use these to add an aromatic sweetness that balances out the tart, slightly bitter flavor of the pomegranate. In the future...it may be in a can! 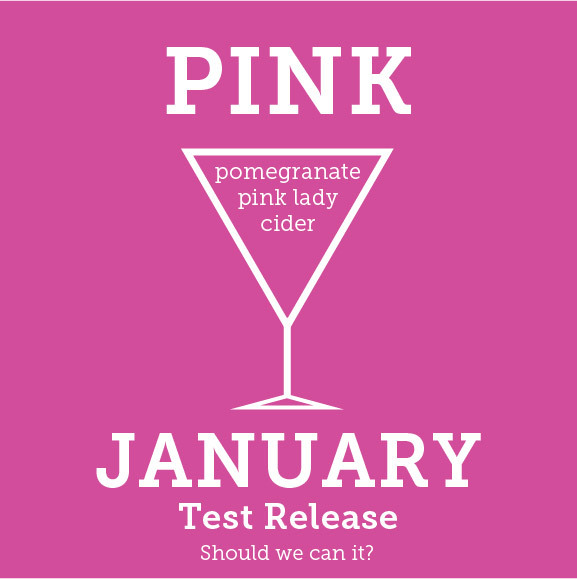 Pink is a test release cider that we are developing for full release in the Summer of 2018. Depending on your feedback, we may decide to can this cider in cans! This cider is so new we haven't entered it in any competitions. Maker's Notes: McIntosh is the most aromatic of common apples! The apples come from an old Northwest orchard and we harvest them at the peak of ripeness so you get the full "mac" experience. 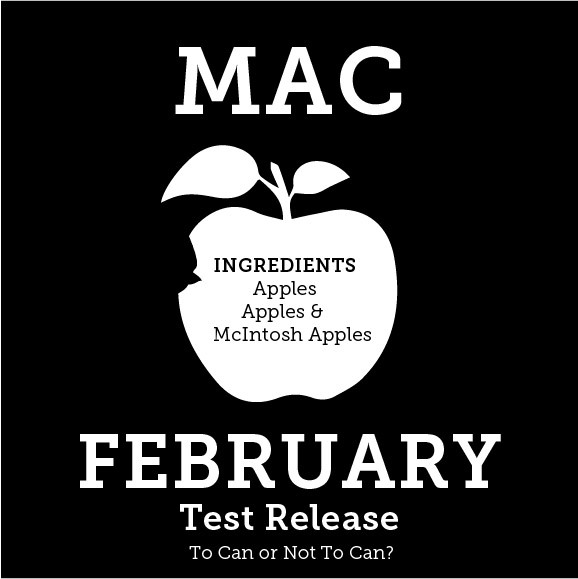 Mac is a test release cider that we are developing for full release in the Summer of 2018. Depending on your feedback, we may decide to can this cider in cans! Maker's Notes: The cold of winter calls for something spicy and and full of citrus to keep you warm. By aging the cider on blood orange puree, we gain a tart citrus acidity that brightens up the winter spice blend of cinnamon and cardamom. With just the right amount of residual sugar, this one will give you a few extra calories to fight off the winter chill. Try this cider with you favorite holiday roast or keep it simple and use it to wash down that stack of sugar cookies. Spiced Blood Orange is a limited release cider made in small batches once a year. 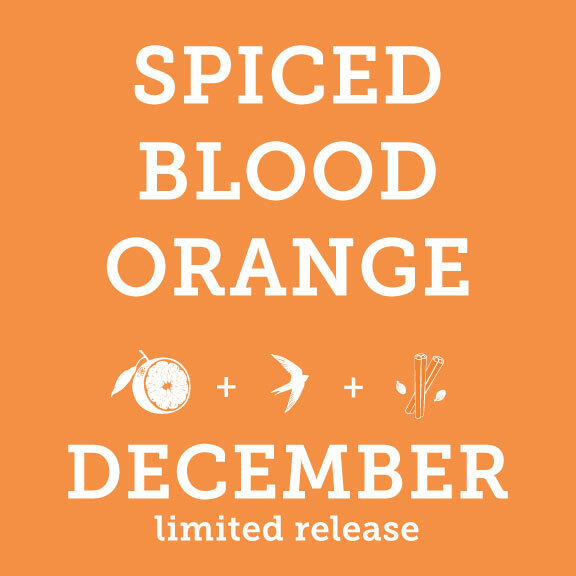 The 2017 Spiced Blood Orange will be released on 12/15/17 and you can find it on tap soon around Oregon and Washington. Maker's Notes: The sweet scent of an Oregon yellow peach is meant for the spicy vanilla of French oak. We've stepped up the peach addition this year and we love the extra acid it brings. The refined toasted wood character, and the semi-dry finish makes this popular with wine drinkers and cider geeks. We like it served with a croissant, a crepe, and sometimes a frosted cider donut. Peach Oak is a limited release cider made in small batches once a year. 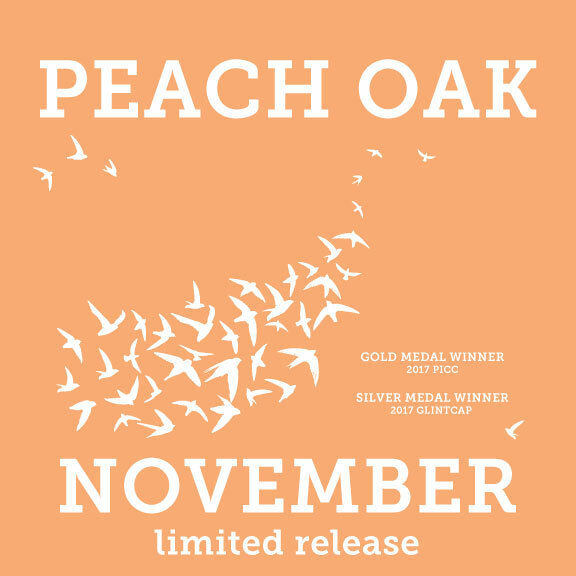 The 2017 Peach oak was released in November and you can find it on tap now around Oregon and Washington. *Alcohol By Volume (ABV) may vary slightly as the natural sugar level in our apples varies. We don't add sugar or water to adjust ABV, so enjoy the natural variation of 100% pure cider. **We produce cider year round using apples grown in Oregon and Washington. The apple varieties vary naturally depending on harvests and availability. What we call our "Northwest Blend" includes Pink Lady, Golden Delicious, Honey Crisp, Braeburn, Granny Smith, and Red Delicious apples.